Our latest episode is something a little different. 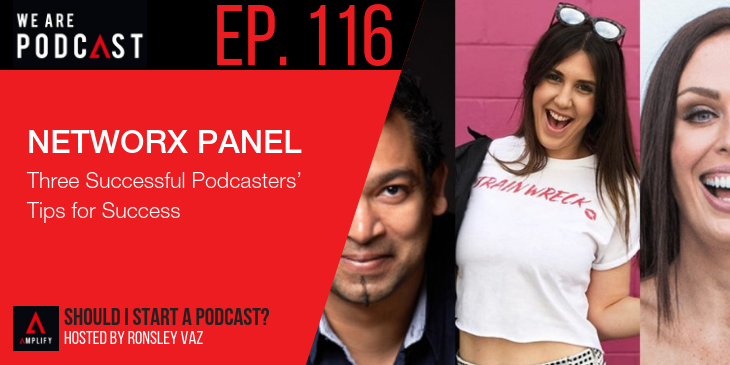 Recently I was lucky enough to sit on a Networx panel with two other successful Australian podcasters: Stevie Dillon of Stevie Says Social and Phoebe Parsons of Confessions of a Twenty Something Train Wreck. Our conversation was one part fun, one part hilarious and one part incredibly useful for fledgling podcasters. Each of the panelists has a pretty funny and random way that they came to be successful, but along the way they’ve picked up some very useful pieces of advice.